Your reins allow you to communicate directly with your horse by way of the bit in his mouth. In order to speak your horse's language, you have to send the right signals through the reins. Sending the right message can be difficult if you are not holding the reins correctly. Your horse may become confused or even do something you do not want him to do because he does not understand you. Leaning to hold the reins correctly is a basic part of learning how to ride a horse. Pick up one rein in each hand with your palms facing down towards the horse's withers. Pick up the reins evenly so that your hands are in the same place on each rein and your horse will feel even pressure on the reins. Run the rein in between your ring finger and your pinkie finger. Turn your hands upwards so that your palms face one another and your thumbs are facing upwards. Your hands should remain low near the horse's neck and withers. Hold western split reins one handed for neck reining. Place the split reins together one on top of the other and pick them up in your non-dominant hand (if you are right-handed, this will be your left hand and vice versa). The right rein will go between your thumb and your index finger. The left rein runs between your index finger and your middle finger. Your thumb should be facing upwards towards the sky and your pinkie finger should face down towards the wither.  Your reins should never be twisted. 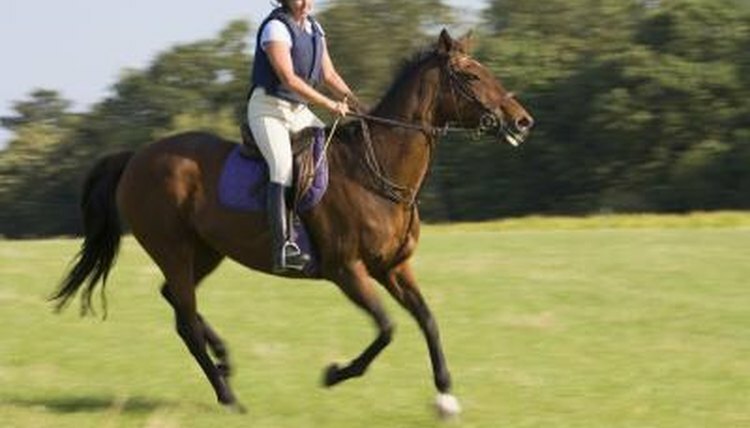 Make sure all reins are straight and in good condition before you ride.